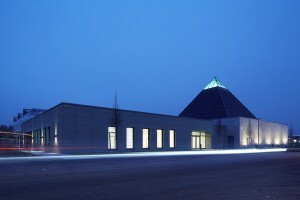 The Sennebogen Academy and the Erich Sennebogen Museum have been officially opened in Straubing, Germany. The newly founded Sennebogen Academy has a modern machine training center, demonstration site, as well as training rooms and conference facilities. The Erich Sennebogen Museum exhibits with the historic machines and documents on display from the firm’s more than 60-year history. I just want to say I am just newbie to weblog and absolutely enjoyed this web-site. More than likely I’m want to bookmark your blog post . You surely have really good posts. Kudos for sharing with us your web site.